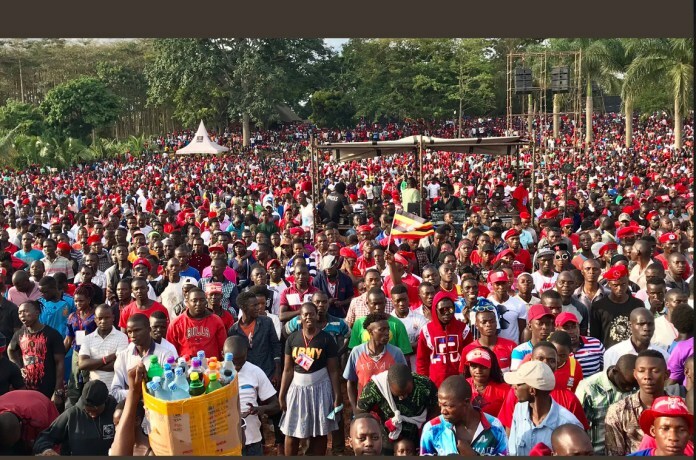 As early as 8:00 am, supporters of singer turned politician Bobi wine started entering gates at One Love Beach in Busabala for the Kyarenga concert dressed in red attires and berets and filled the beach to maximum despite the heavy deployment from different security agencies like the Uganda Police and Military and started singing all Bobi wine songs of freedom until when he stepped up on stage. 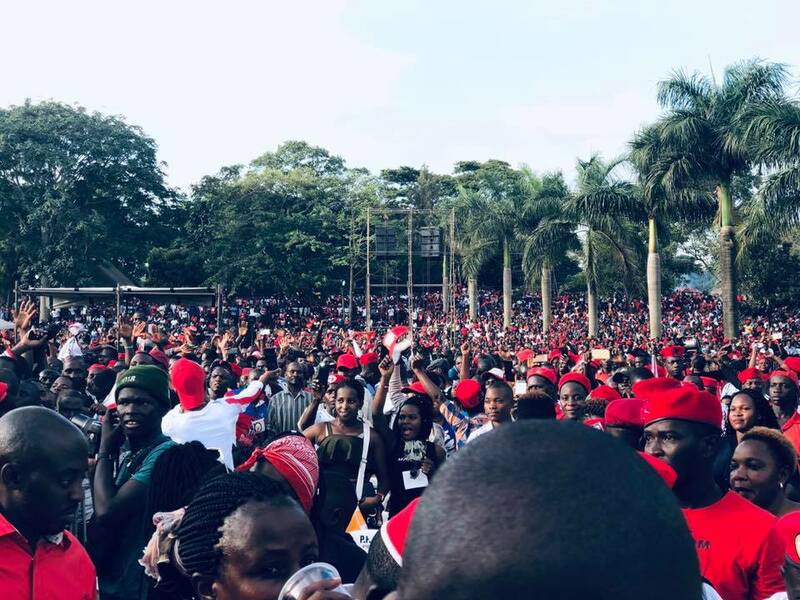 Many have started referring to Kyarenga as the concert of the decade and others say they have never experienced a show like this in Uganda and therefore any one can conclude that Bobi wine’s show was a huge success and a message to the government who at first banned Bobi wine to hold his show at Namboole National stadium in fear of chaos in town. It is assumed that Bobi wine at least sold 45,000 tickets each going for 10,000 shillings. The much anticipated Kyarenga concert happened yesterday 10th November 2018 with performances from Uganda’s leading singers like Eddy Kenzo, King Saha, Pallaso, Spice Diana, Nubian Li, Roden Y, Eddy Yawe, Aziz Azion and Chris Evans, Lil Pazo, Renah Nalumansi, his brother Mickie wine among several others. Bobi wine also later showed up on stage dressed in yellow, red and white attires and performed several of his hit songs like Mazzi mawanvu, Kataala, Freedom, Situuka and Kyarenga among others. 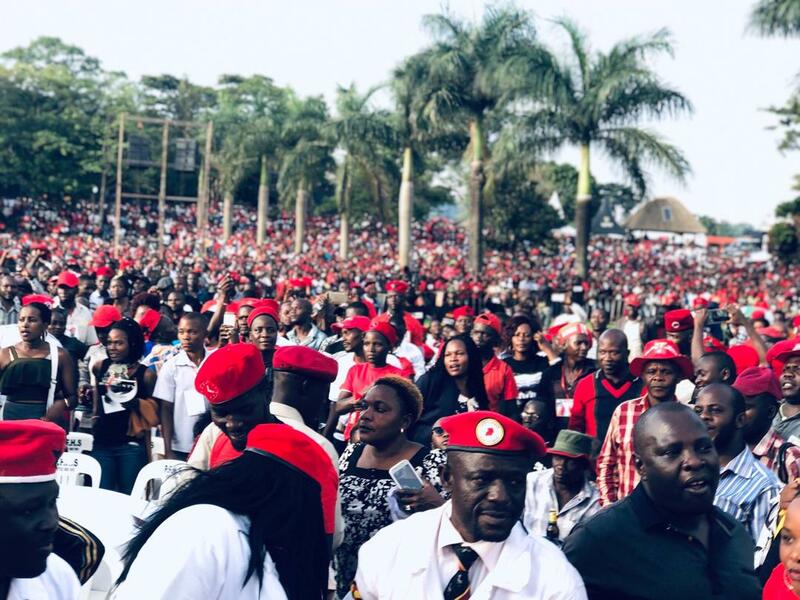 Bobi wine was joined by all the people power members of parliament like Francis Zaake, Josreph Sewungu, Gerald Karuhanga, Barnabas Tinkasimire, Fred Mukas Mbidde. At around 9Pm, Kyarenga concert was the most trending hashtag on all social media platforms like twitter and Facebook in Africa and worldwide. Congratulations Ghetto President from Flash Uganda media.